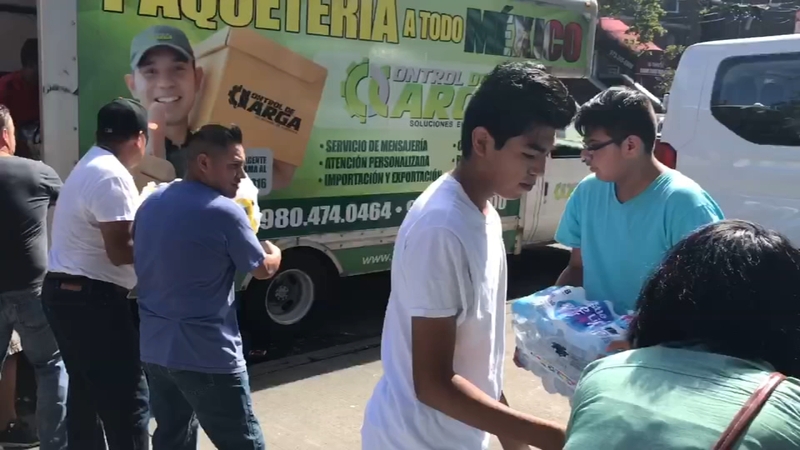 PASSAIC, New Jersey (WABC) -- The first truck with relief supplies left Passaic, New Jersey to Mexico Friday afternoon. Supplies are being driven to Puebla for people affected in the tragic earthquake. Another truck full of donations is expected to depart on Tuesday. Anna Flores, Executive Director of Mi Casa Es Puebla, estimated that at least 35,000 people now live in Passaic who moved there from Puebla. The organization is continuing to accept donations as several more shipments will be delivered. Mexican authorities have raised the death toll from Tuesday's earthquake to 293 people.